Information: Igor Moiseyev, founder of a Russian Folk Ballet company and author of books about dance. Born in Kiev, Russian Empire, he was the only child of a Russian lawyer and a French-Romanian seamstress. His family lived in Paris until he was eight, and throughout his life he spoke to Western journalists in fluent French. Moiseyev graduated from the Bolshoi Theatre ballet school in 1924 and danced in the theatre until 1939. His first choreography in the Bolshoi was Footballer in 1930 and the last was Spartacus in 1954. He staged acrobatic parades on Red Square and finally came up with the idea of establishing the Theatre of Folk Art. In 1936, Vyacheslav Molotov put him in charge of the new dance company, which has since been known as the Moiseyev Ballet. Among about 200 dances he created for his company, some humorously represented the game of football and guerrilla warfare. After visiting Belarus he choreographed a Belarusian "folk" dance Bulba ("Potato"), which over the years indeed became a Belarusian folk dance. According to the Encyclopædia Britannica, Moiseyev's work has been especially admired "for the balance that it maintained between authentic folk dance and theatrical effectiveness". 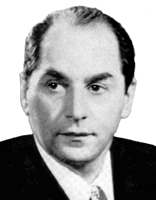 Moiseyev died in Moscow on November 2, 2007 at the age of 101. Dance Magazine, May 1946, p.14. A Soviet-inspired dance company performs the Serbian Kokonješte with high leaps. Tanze der Volker des Sowjetunion, 2 vols. Moiseyev, Igor. Berlin, 1951 (vol. 2, 1952). Instructions, stage directions, and music for 40 Soviet dances.